In 2001, Dutch designers Experimental Jetset designed the shirt John & Paul & Ringo & George. This design was an exploration in what the studio described as “‘self-referentiality’: the idea of graphic design that refers to itself, to its own context, or to the medium as a whole.” Essentially, neutralizing content in translating the figurative—focus presented through a method of abstraction. My response to this method, was to invert the concept and create a design with populist intentions. By leveraging the format’s cultural gravitas, these actions are elevated, revealing that they should be popular sentiments. Furthermore, the application and placement on a toddler heightens their necessity. I’ve observed many adults, reading and smiling as they are mentally re-aligned with their sense of cool. 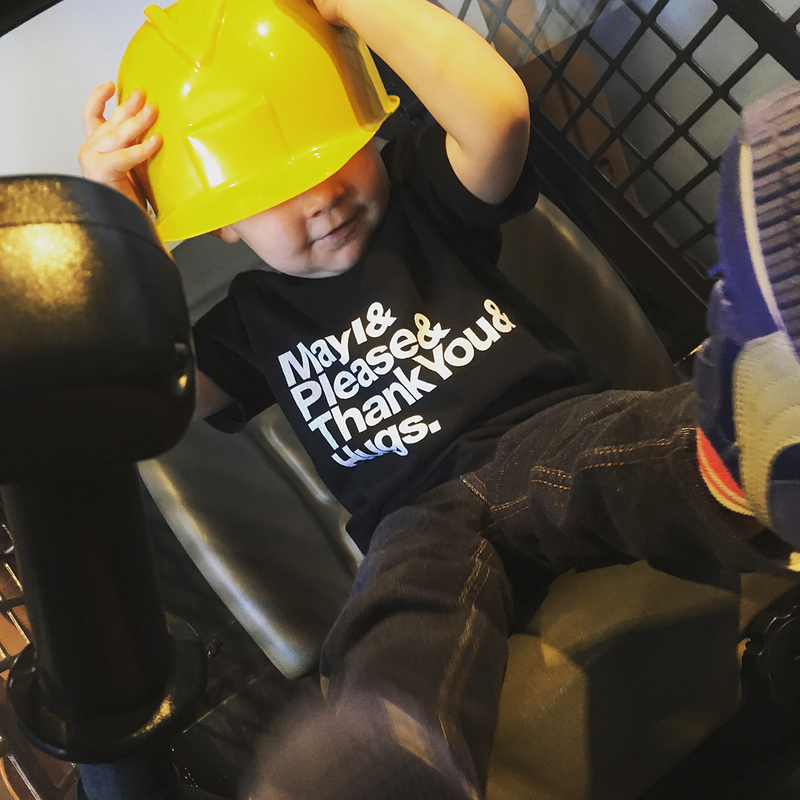 If you have a little one to outfit or you’re an adult that still believes in good manners, the shirts are available for purchase.